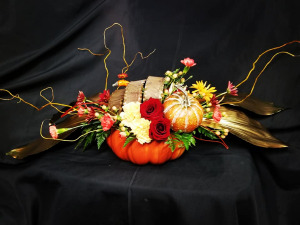 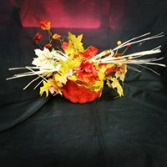 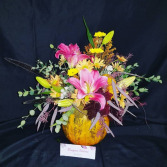 Seasonal Center Piece With Willow, Gold Aspidistra Leaves, Pumpkins, Metal Ribbon, and seasonal fresh flowers. 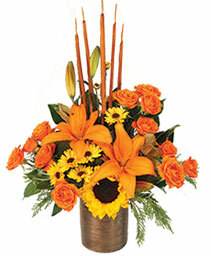 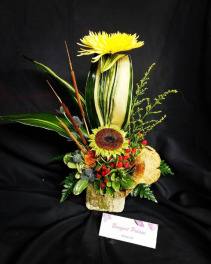 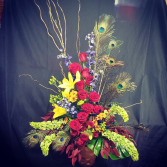 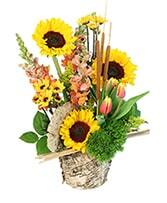 Red Bomb Orchids, arranged with wood, sunflowers, and Iris's. 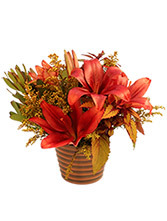 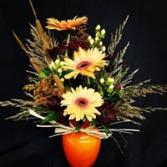 Mix of Alstro Lilies and Fall Daisies beautifully designed in a small mason jar. 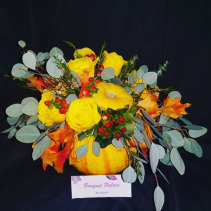 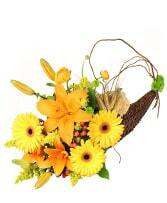 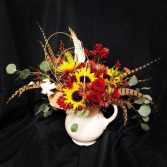 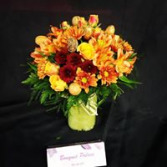 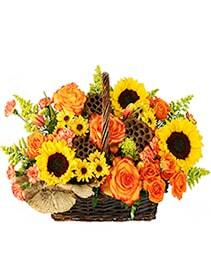 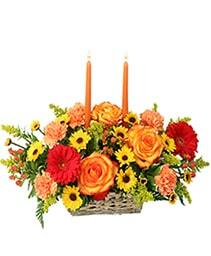 Small fresh arrangement of yellow roses and dried maple leaves, beautifully designed in a fresh pumpkin. Fresh fall with Beautiful Gerber Daisies! 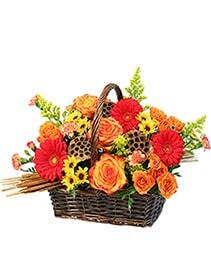 Rectangle basket filled with fresh fall mix. 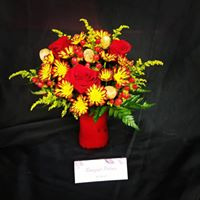 Fresh Red roses arranged in a red vase accented fresh fall daisies. Fresh Pumpkin with Fresh flowers arranged in it. Fall arrangement with an artsy feel! 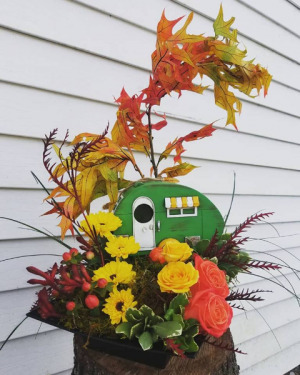 We have a variety of bird houses to choose from and we can design a custom arrangement just for you! 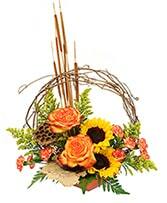 4 foot tall showing of love. 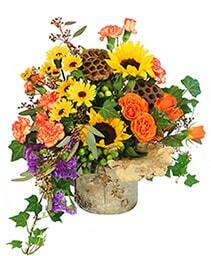 In a bronze container,full of Rose's and seasonal fresh flowers.